Re-entry of the mysterious object will occur at 6:19 UTC on Friday when it will slam into the dense layers of Earth’s atmosphere at a velocity of 11 Kilometers per second. 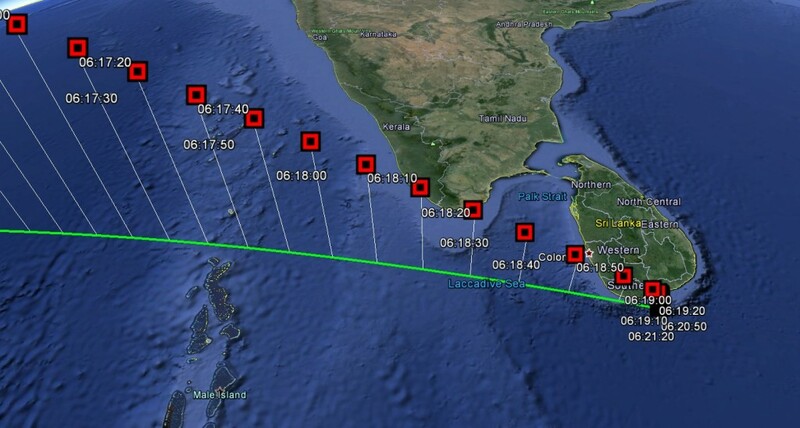 Tracking data shows the object incoming from west to east, flying across the Indian Ocean before dipping into the dense atmosphere south of Colombo, the largest city on the island of Sri Lanka. 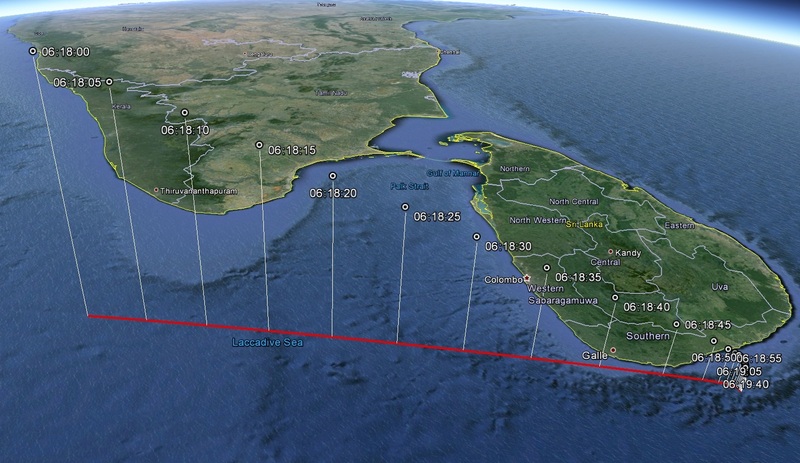 Though it will be daylight in the area, the high-speed re-entry of WT1190F will most likely be visible in the sky from a large portion of Sri Lanka if weather permits. 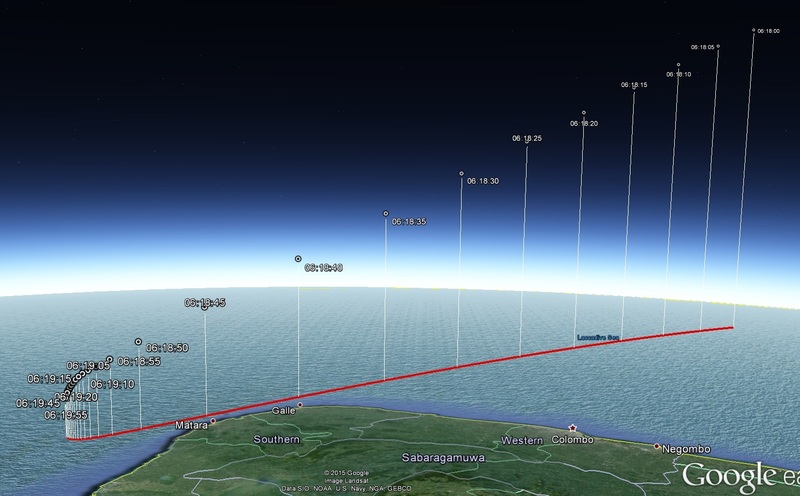 With WT1190F’s re-entry approaching, an observation campaign is in place to study the object’s high-altitude break up from an airplane that will be circling the area and two locations on the ground, provided persistent rain moves out of the area in time. Data collected of the object’s re-entry will help scientists better model the re-entry dynamics of natural and artificial objects and learn more about the re-entry environment. It may also be possible to use spectral data collected of the object burning up in the atmosphere to learn more about its composition and possibly pin-point its origin. Friday’s re-entry is associated with relatively low risk as the object will most likely burn up in its entirety and only leave a cloud of dust in the upper atmosphere. If for some reason WT1190F does include any dense metal components, they will in all likelihood splash down harmlessly in the Indian Ocean. What is known about WT1190F is that it is of low-density, around 0.1 grams per cubic centimeter – too low for it to be an asteroid. Also, its reflectivity indicates that the object is no more than a few meters across, though so far there has been no definitive measurement of its size. Estimates range from around one meter to three or four meters. Its orbit was highly elongated, taking the object around the Earth once every three weeks. 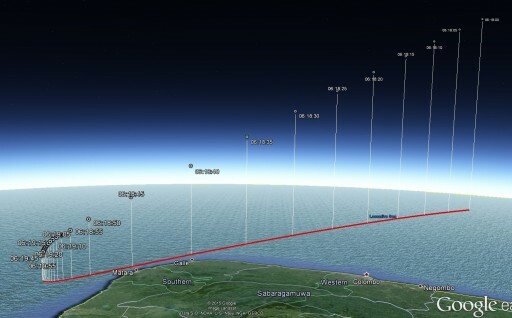 Further tracking data revealed that trajectory of the object was influenced by solar radiation pressure, adding further proof of it being rather light. WT1190F was re-discovered in early October after it had not been tracked for nearly two years, owed to its elliptical orbit that takes the faint object to more than twice the distance of the Moon. When WT1190F was recovered, researches went back to past observations and found that it was tracked in 2012 and as far back as 2009. 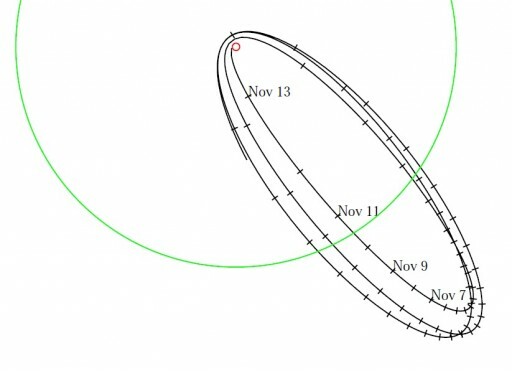 Due to gravitational influences of the Earth and the Moon along with trajectory shifts due to solar pressure, WT1190F ended up on a collision course with Earth. 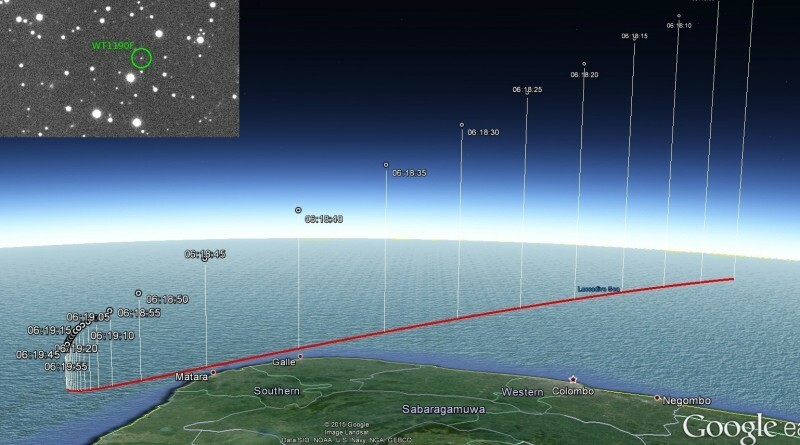 With the object’s re-entry accurately forecasted over three weeks in advance, researchers were eager to coordinate an observation campaign. 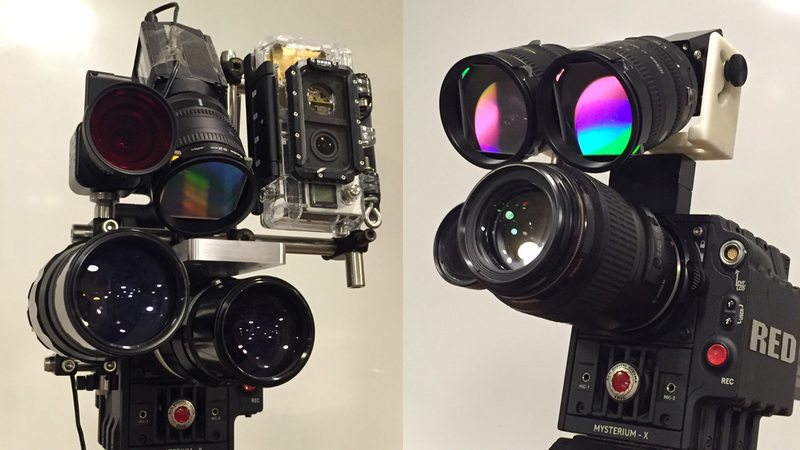 In late October, ESA’s Space Situational Awareness Program Office announced it would sponsor an airborne observation campaign in cooperation with a number of other institutions. The campaign will use a Gulfstream 450 business jet, sponsored by the United Arab Emirates in an effort coordinated by the International Astronomical Center, Abu Dhabi. Five windows are available to observe the re-entry and will be occupied by research gear from several observation teams. Researchers from the SETI Institute will deploy a high-dynamic range imaging system comprised of staring cameras for low-spatial resolution imaging and daytime slit-less spectroscopy. 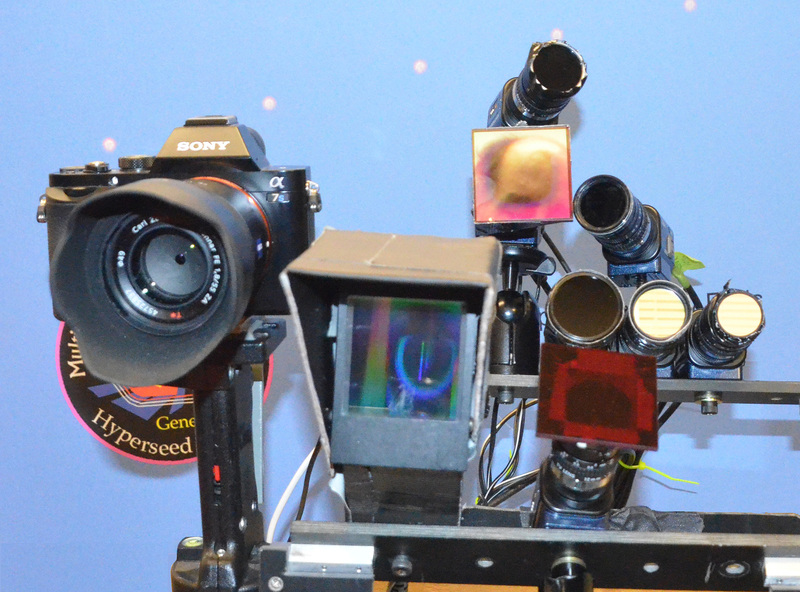 The Clay Center Observatory of Dexter Southfield will use a camera system for high-spatial resolution imaging and spectroscopy. An ESA-sponsored team will employ a fiber-fed Echelle spectrograph that has been tested to be suitable for daylight observations while two teams from the UAE Space Agency and the International Astronomical Center will also put still and video cameras to use. The goal of the observation campaign is to acquire data for the modeling of re-entry dynamics for objects on asteroid-like trajectories in order to improve the current knowledge of re-entry physics for artificial and natural objects. The teams on the plane will have to be very quick because the re-entry event will only last a few seconds as the object hits the atmosphere, heats up and breaks up into fragments. The observation team has been receiving updated computations on the expected re-entry time and location of the object and close attention was paid to weather forecast models as two teams will be on the ground hoping for clear skies. The airborne teams arrived in Abu Dhabi on Wednesday and began rigging their equipment aboard the airplane, a task that will be completed on Thursday ahead of a very early takeoff time on Friday. Although it is well known when and where WT1190F will meet its ultimate fate, the identity of the object remains unknown. Lunar and planetary exploration conducted in the past decades left dozens of objects lingering in the Earth-Moon system, many of them moving through space unbeknownst to anyone on Earth. Even objects boosted into a solar orbit being recaptured within the Earth-Moon system is not unheard of, broadening the possible origins of WT1190F. One of the possible candidates for WT1190F particularly tantalizing to observers and space historians is Apollo 10’s Snoopy module flown to within 15 Kilometers of the Lunar surface in May of 1969 by Tom Stafford and Gene Cernan. 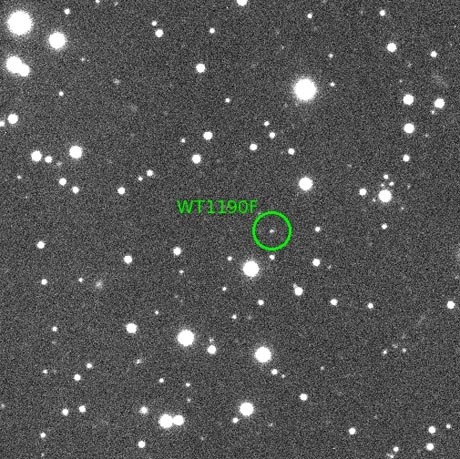 However, the observed size of the object and its suspected light mass are not in favor of the theory of WT1190F being the long-lost Snoopy module. Other possibilities range from Saturn rocket upper stages, rocket bodies from early Lunar programs such as Ranger or Soviet projects, Chinese rockets launched towards the Moon in recent times, or rocket bodies coming back from missions to the L1/L2 Lagrange points. A number of Block-L upper stages remain in orbit within the Earth-Moon system as do some of the early exploration craft from the Explorer and Luna programs.